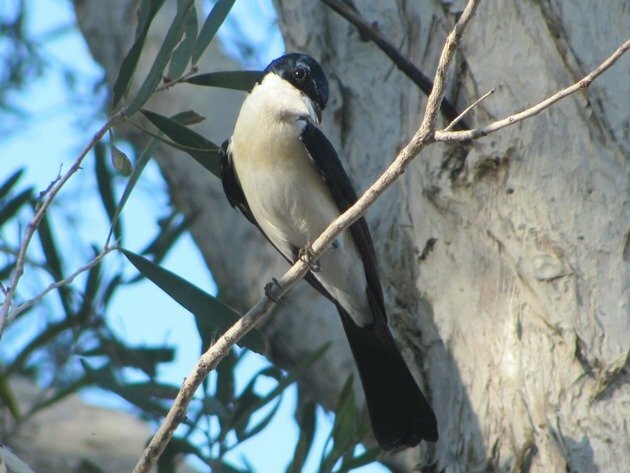 In the Kimberley area of Australia we have a smaller sub species of the Restless Flycatcher known as the Paperbark Flycatcher. 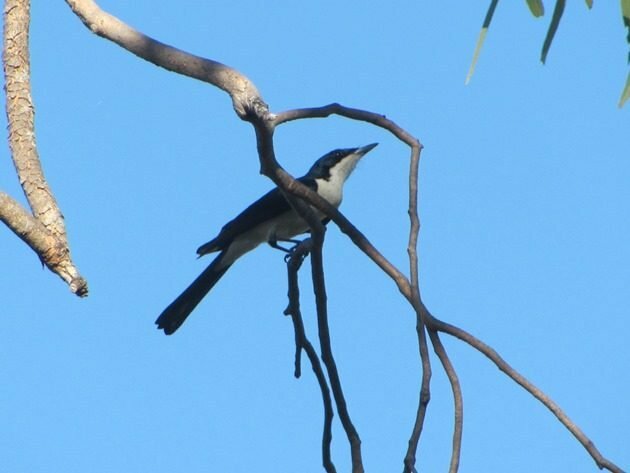 Our local Paperbark Flycatcher hovers over our small pond and visits our garden throughout the year and always announces its arrival into the garden. 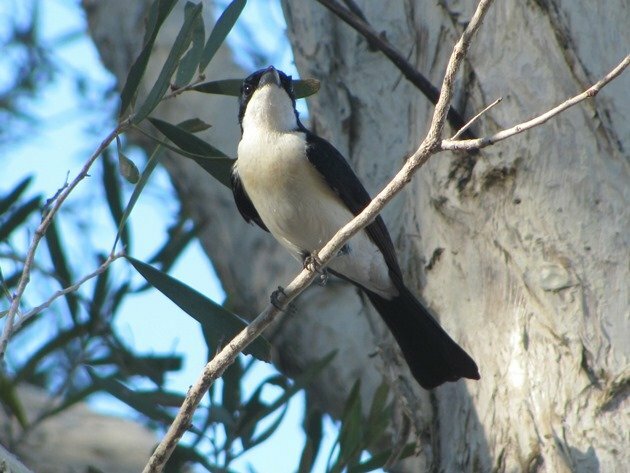 The Paperbark Flycatcher makes a scissor grinding sound which clearly distinguishes it from the chickety chick sound of our local Willie Wagtail. 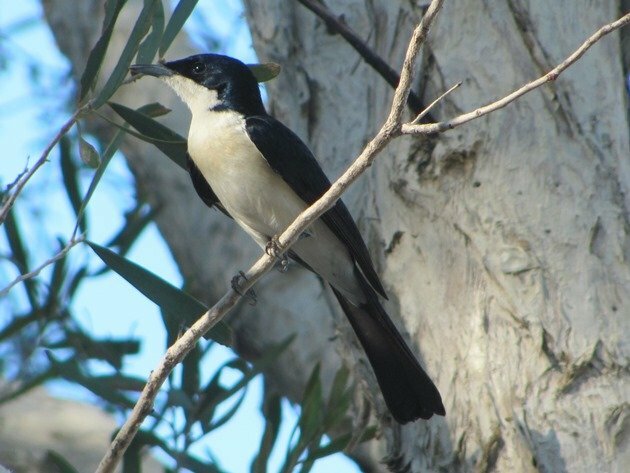 The Paperbark Flycatcher does not have any black under its chin, while the Willie Wagtail does. 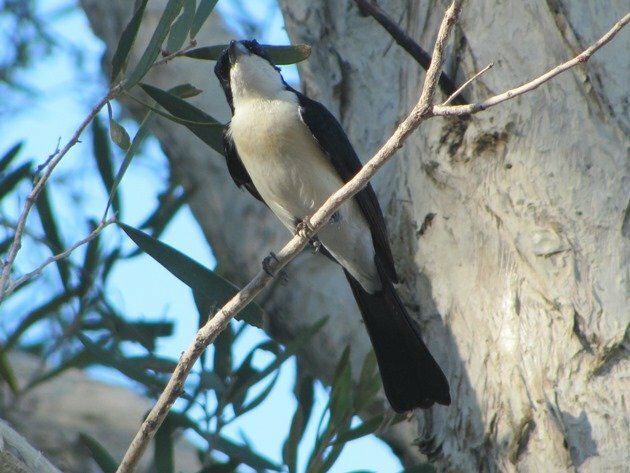 Paperbark Flycatchers are often seen hovering and dipping into rivers, ephemeral lakes and chasing insects. 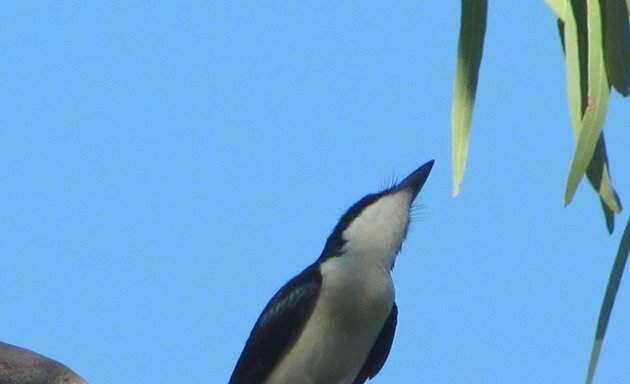 One interesting fact is the presence of bristles around its bill and it is only if you can get directly underneath the Paperbark Flycatcher that you are able to see them! I have zoomed in the second photo to enable you to see the impressive bristles! Apparently the Paperbark Flycatcher has longer bristles than its southern representative, but I am not sure just how much longer! We do have our fair share of black and white birds in Australia, but they are all rather different whether they are along the shoreline like Pied Oystercatchers or in the paperbark trees like the Paperbark Flycatchers. 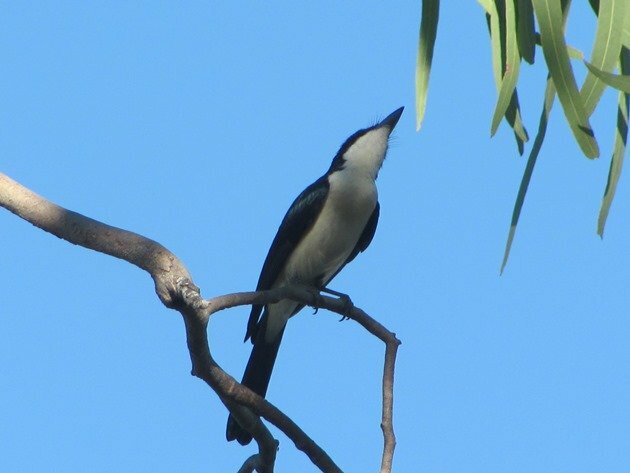 Add to that our Australian Magpies, Pied Butcherbirds, Lesser Frigatebirds, various Cormorants, Banded Honeyeaters and Hooded Robins and you realise we really can do black and white very well! I would have to prefer black and white birds to varieties of brown birds any day!